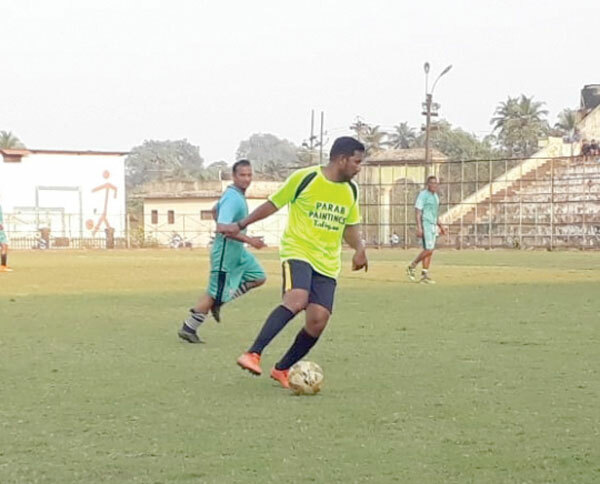 RAIA: Tiswadi Veterans registered a solitary goal over Verna Veterans to move into the quarter-finals of the Rachol Veterans Cup organised by Rachol Veterans, at Raia village panchayat ground, on Saturday. Verna’s Jose D’Cruz had the first best chance of the match but the latter’s move was thwarted by Panjim’s Ramdas Borkar in the ninth minute. Six minutes later, Panjim’s Atul Naik took control of the ball from Lawrence D’Souza who dribbled past Verna’s Inacio Gama and Camy D’Cruz and shot from close range but the Panjim keeper was equal to the task. It was Govind Balikar who scored the match-winner with an arrow bound shot in the 35th minute.